What will our planet look like in 100 years if we continue to live the way we do today? Sustainability is an aim to use available resources in a way that preserves the natural environment not only for people, plants, and animals in the present, but also for future generations. In Sustainable Living, we will explore many of the questions that you may have about how we, as individuals and collectively, can preserve our Earth. How do our everyday decisions, from how we get around to what we eat, affect the environment? Together we’ll learn the difference that individual, communities, cities, and nations can make to ensure a bright future. Martin hails from the icy, sunshiny land of Winnipeg, Manitoba, where he obtained a degree in Biosystems Engineering at the University of Manitoba. He has worked with students of all ages, from playing dodge ball in school gyms to peer tutoring sleep-deprived engineers. He teaches math, science, and chemistry, and lives for that “Aha! Eureka!” moment when the kids just get it. 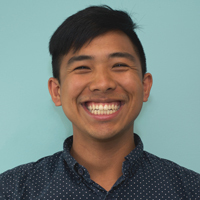 Martin has a healthy sense of curiosity and compassion about the world and is always seeking to connect with the cool people who are part of it, like his family and friends – and the staff and students at Brain Boost! He exercises his brain with music, gaming, visual art, design, and puzzles of all types, and exercises his body through adventures like climbing, running in the woods, and day-long hikes in the mountains. He can often be found eating spaghetti.